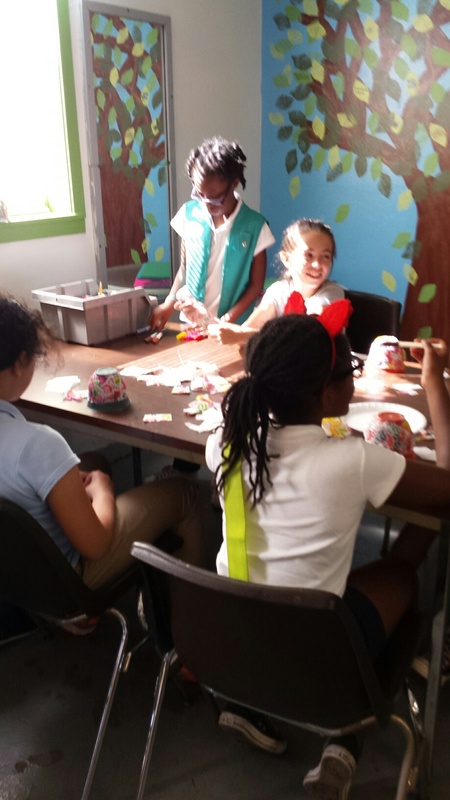 In March and April, I worked with a Girl Scout troop on MacDill AFB. 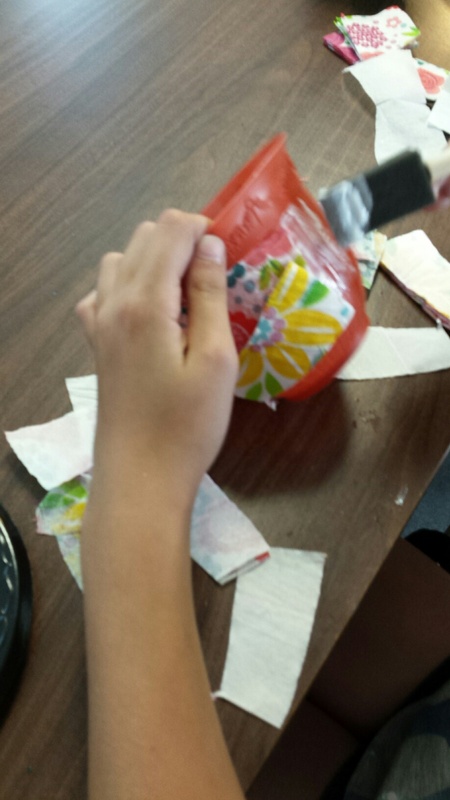 They learned about plants, made a self-watering container from a recycled water bottle, and decoupaged flower pots, planting seeds in each to earn a gardening badge. The first were Daisies (age K-1st grade). The brownies made these containers. This is the second group I've done this with. 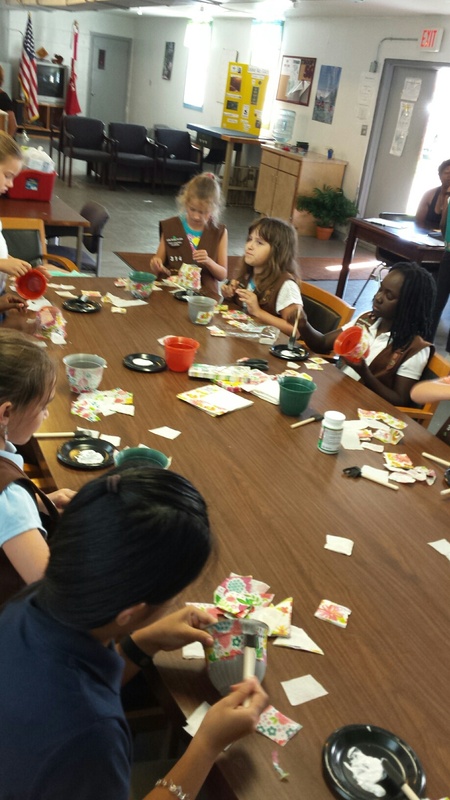 Shown in the photos are Brownies (grades 2-3), and Juniors (grades 4-5). The troop leader is a friend of mine from church. 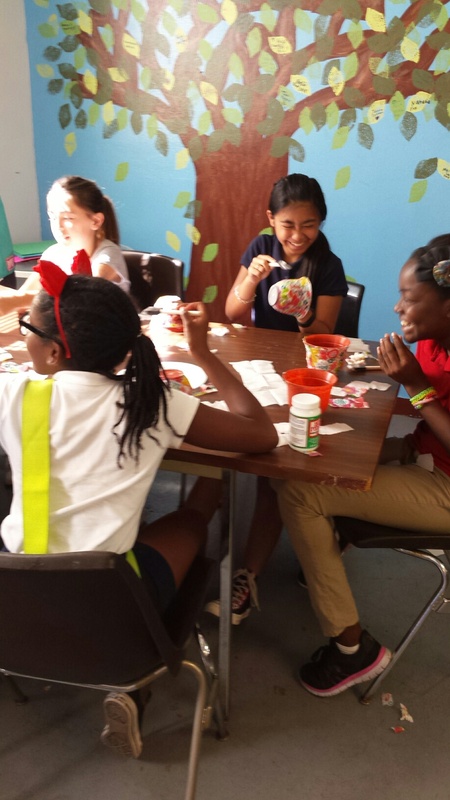 In both sessions, I gave the girls a brief lesson on how to plant from seed or seedling. 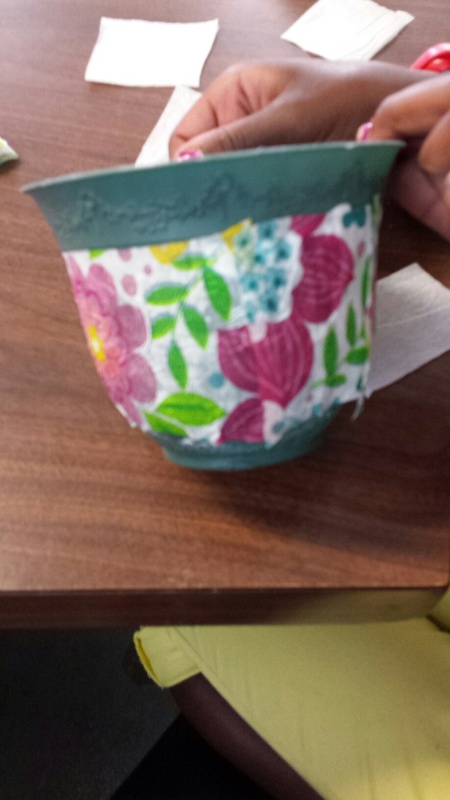 We discussed what plants need to grow (with a handout) and then proceeded to work on the self watering container or the decoupagepots. 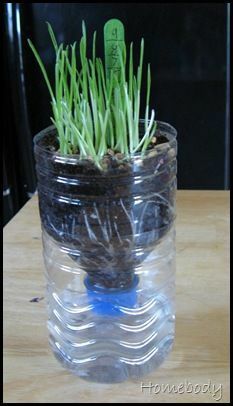 The Daisies planted wheat grass seed in their containers. 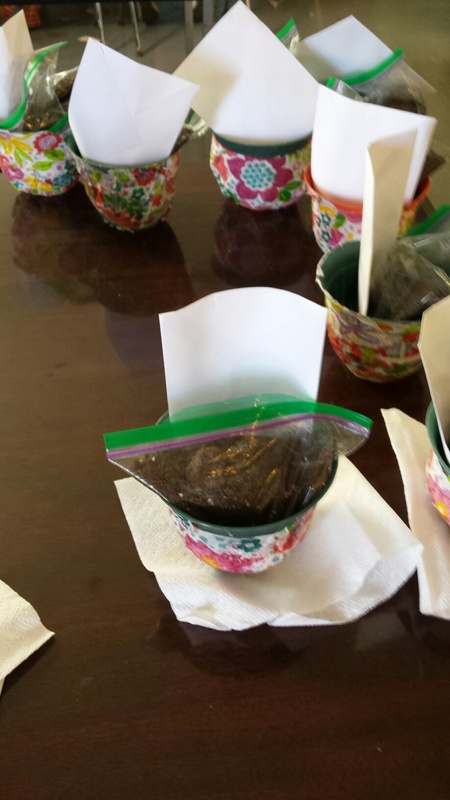 The Brownies and Juniors took home a baggie with soil and wildflower seeds to plant once the pot had dried.